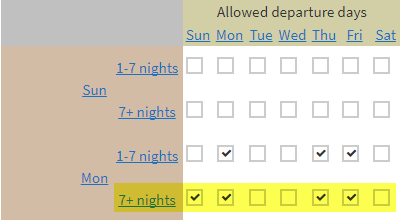 If you have a custom departure grid enabled in your account it means you can be in full control when it comes to departure days for your short breaks. If you require this add-on to be enabled within your account contact support@supercontrol.co.uk. 3. 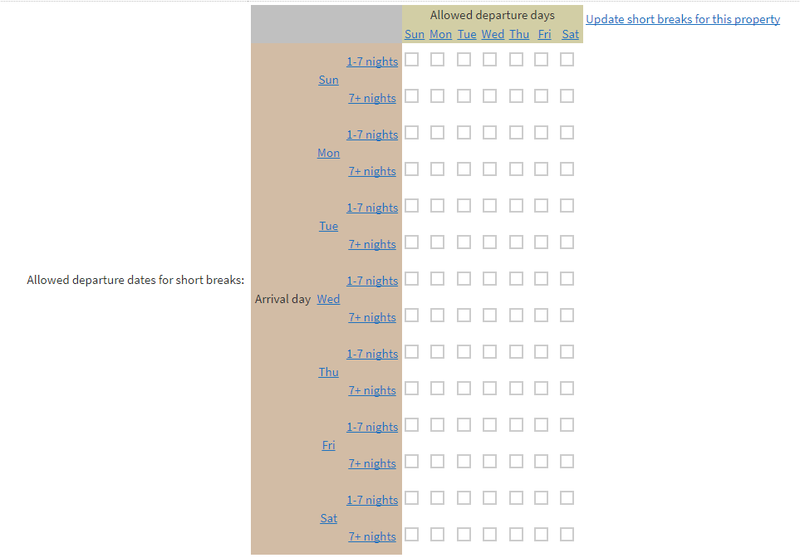 On the left hand side you are presented with "Arrival days" and along the top of the table you will see columns for "Allowed departure days". 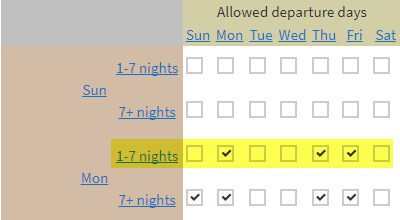 For example, if you want to allow a guest to arrive on a Monday and depart on a Thursday or Friday only, you would tick these boxes. 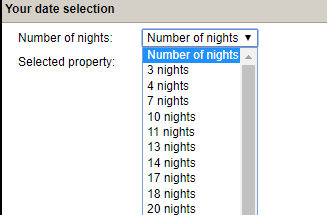 This means for any number of nights below 7, the guest can depart on a Thursday or Friday (3 or 4 nights). 4. Once you have your short break settings complete for each day click Save. 5. To populate these settings to your Price Planner click "Update short breaks for this property". Prev: How can I change my online calendar colours?